Thank you so much for all of your wonderful feedback and votes!! I received over 500 votes/comments from Facebook, Instagram, Twitter and my blogs! WOW! What a warm welcome to my upcoming coloring book. Also, a special thank you to the creative "Coloring Book for Adults" Facebook group which posted over 391+ comments and over 161+ likes! My NEW Coloring Book is coming soon in a few weeks. Could you help me select which one of these two illustrations should be included in the book? One or Two...or maybe both? Please leave your comment below with your choice. Thank you so much! I'm so excited to share with you what I have been working all Summer long... Yes!! 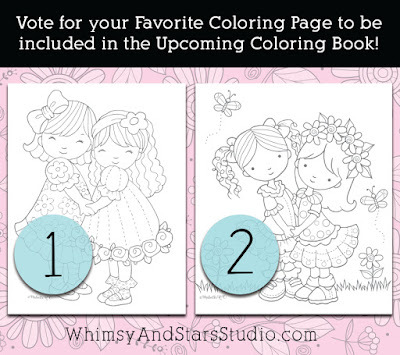 It's a super cute Coloring Book with lots of adorable illustrations for any age. This coloring book will feature all of my favorite subjects to illustrate. From cute little kids, flowers, nature, holiday themes plus some cutie surprises. I hope you love it as much I love work on it. I'm still working on the book, adding more art. I'm expecting to have it ready by the end of September. I will be taking pre-orders next month. Make sure to stop by often to include your name in our first pre-order list. Thank you for all your wonderful emails and messages during this Summer, I have been so excited to share this anticipated news! Please stay tuned to the latest releases and news by joining my Facebook Fan Page, Instagram page, Twitter or my blog. We are celebrating Artist Appreciation Month! Today I would l love to share with you which artists have inspired me throughout my career and development as an artist. Early on as a little girl, art was an integral and innate part of my life. I remember how much I loved having paper, pencils and crayons with me at all times. Used to draw tiny doodles on my notebook margins and little scraps of papers. 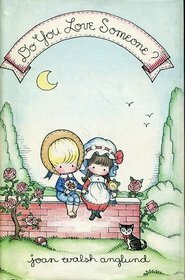 Always loved drawing little children, nature (especially flowers) and cute critters. 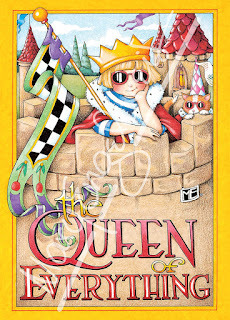 These illustrators were of great influence and inspiration in my childhood. 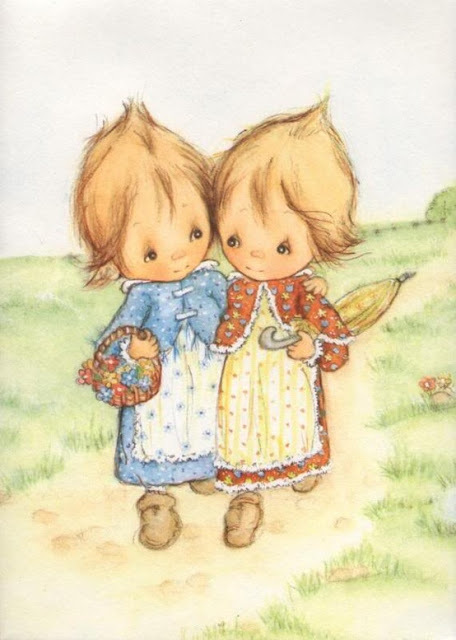 I discovered their art while visiting my local stationery store when I was in elementary school and I remember saving some of my allowance money to buy some greeting cards. I used to tape the greeting cards on my bedroom wall next to my desk and spend countless hours looking at the beautiful artwork. After college, I moved to United States and began my career as a designer. As I continued developing my career as a graphic designer and illustrator, I discover two amazingly talented illustrators. These two artists became great trendsetters and mentors for many artists like me. I loved their use of color, intricate design and patterns in their works. Not only you found their work in stationery products but also collectable items, home decor and textiles. They have welcomed thousands of fans around the world and continue to create more art for all of us love! Still today, I LOVE their work! Wishing you a fabulous, artsy, inspirational Month! Keep creating! Hi, there, July! Time surely flies quickly! 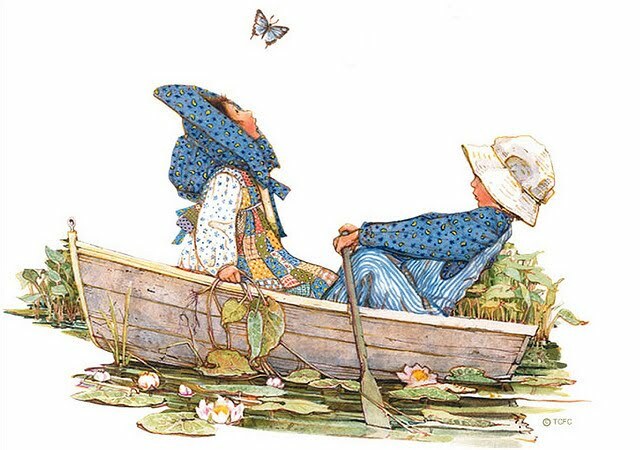 Here at Whimsy and Stars Studio things have been quiet as we enjoy our Summer break. Time to work on new art and spend time with my family. Thank you for all of your emails and notes during this Summer, I love hearing from you. I really appreciate it. I'm touched by all of your love and for embracing my art. I hope that my art brings you joy in the midst of your busy day. Stay tuned for the re-opening of my Etsy store this Fall! I'm working on new Fall & Christmas holiday designs to share with you. Wishing you a fun Summertime! I'm so excited with Springtime around the corner. I'm already looking for ideas for all those cute Easter & Spring projects. Today I would like to share with you a project from our archives featuring my printable Easter digital stamps. I love this Easter project! It was created by our past DT designer, Kathy Curry. If you are looking for more ideas for your Easter cards and paper craft projects, I invite you to visit my little Etsy store and see all of the Spring & Easter digital stamps collection. This is one of my very favorite illustrations that I have worked on from years past. I used Copic Markers and Prismacolor pencils. Day Five! Today is my last posting for the Facebook 3/5 Art Challenge. I have enjoyed so much been part of such fun project. Thank you to my artsy friend, Phyllis Harris for tagging and inviting me to join the artsy fun! Today are more illustrations from my stamp collections (rubber and digital stamps). Day Four in the Facebook 3/5 Art Challenge. These are some of the illustrations that I released in the past couple of years as rubber stamps or printable digital stamps. They are some of my very favorite designs. I colored them using Copics Markers. ~ Have a great Thursday! Day Three. Today for my Facebook 3/5 Art Challenge i'm thinking about Springtime. The bunny and kitty illustrations are designs that I previously released as rubber stamps. For coloring I used Copics markers and for the top of the cupcake I used Liquid Applique medium. The flower sketch was created using watercolors (Sakura Koi Watercolor). Hello friends! Here is my second posting for the Facebook 3/5 Art Challenge. Today I'm featuring my other style of illustration, using Copics markers and Prismacolor markers and softer outlines I'm really enjoying been part of this art challenge. My artsy friend and illustrator Phyllis Harris Designs tagged me to participate in the Facebook 3/5 Art Challenge. Posting 3 art pieces for 5 days. Thanks Phyllis! Here is my first posting for the art challenge! Visit my friend Phyllis studio page, her art is so beautiful! ...finding a little magic In everyday life. May your weekend be a happy and inspiring one! 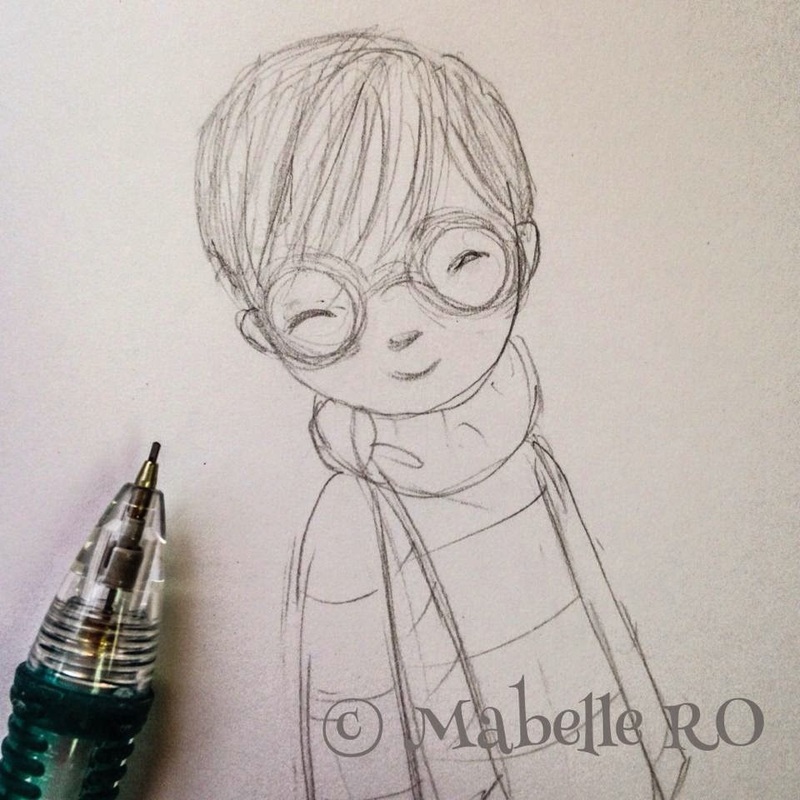 A little sketch to brighten your day! H e L L o D e A R f R i e N d s ! ps: I invite you to stop by my Facebook page and "LIKE" my page. Wishing you all a wonderful first week of the year! Wishing you a happy and wonderful New Year! and for making 2014 a very special year! Instant printable downloads for your last minute paper craft creations this Christmas season. Wishing you and your family many blessings this Thanksgiving Day! Welcome Fall! Hello dear friends! It's so great to be back to my little studio after taking the Summer months off . Summertime was wonderful. As a family we wanted to take these past months and spend extra time together, especially this year, as our kids entered new chapters in their lives. This past May our daughter graduated from high school and in August we saw our "baby" leave for college. I have to be honest, no matter how much you prepare for it and think you will be "cool" when the time comes...it's was hard to see our girl go to college. (Thank God she is not too far from us and we can still see her in the weekends :) And in August our son entered high school! Yes, people, high school! Unbelievable how fast time goes by! This boy is already 6 ft tall and loving his new school. This time off from blogging was truly a precious one and we really treasured it. It's good to be back to working on my art, blogging and chatting with you all. Summer also was a time for me to also think about things that inspires me. Going back to the things I truly love. I dusted off my watercolors and gouache paints and worked on some cute sketches. It has been a time to go back to the basics and explore things that make my heart filled with joy. I also updated my studio's main logo, it's still in the works but I'm really loving how is starting to look. I love that I can change the color of the letters too...What you think? Now that I'm back online, I will be posting more often. I wanted to let you know that all of the Fall & Winter Digi Stamps are available at my Etsy store. They all are Instant Download. I would love if you send me photos of the cute cards and projects that you create using my digi stamps. Meet our 2014 Spring Design Team! 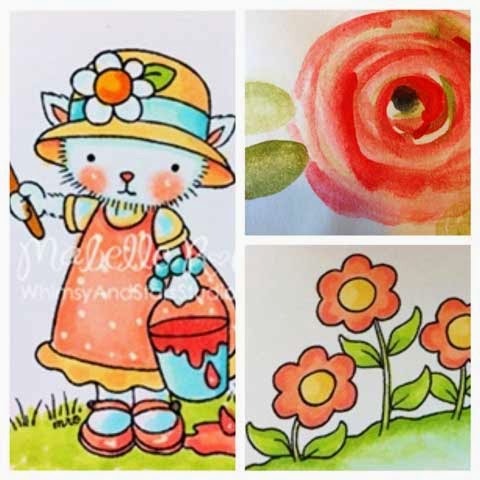 Visit my new stamp blog and meet our NEW 2014 Spring DT and check the cute cards they created using my latest digi stamp release! 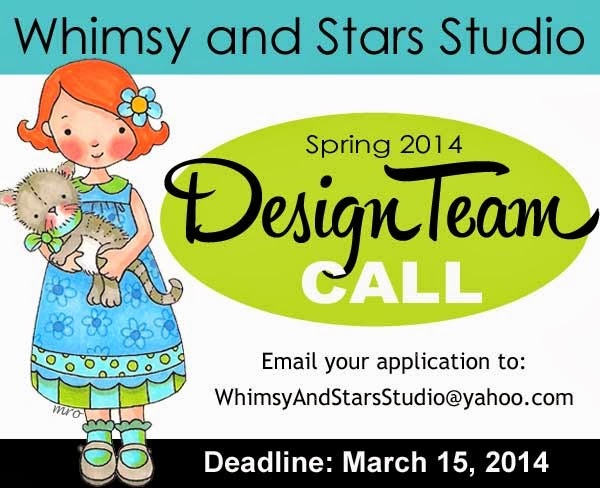 Whimsy and Stars Studio Design Team Call! Hello dear Whimsy and Stars' friends! I'm having an open call for designers who wish to be considered for our 2014 Spring DT and Guest Designers. I'm looking for some experienced and talented papercraft / cards designers to join our fabulous group of designers. This term will be from mid-March to the end of May 2014. The call will be open until Saturday, March 15th, 2014. Able to commit to a 3-month term and be reliable with your scheduled postings. Create 2-3 monthly cards using the Whimsy and Stars Studio digi designs. Our DT is a flexible one, you can post your monthly cards with flexibilty and selecting the dates that works best for you. Share it with your group of friends. 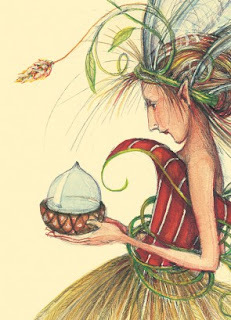 Enter your cards in challenges, hops and other avenues to promote Whimsy and Stars. Post your card on the Splitcoaststampers Gallery, Facebook, Crafters Digital Art Center or any other stamping community forums. Have the ability to take good photography with good lighting and styling. Good coloring technique a must. You will receive the latest released digi designs from the Whimsy and Stars Studio store and have access to existing digi stamps for your card creations. Your name and blog will be posted and promoted on the Whimsy and Stars blog and Facebook and posts will be also promoted on Twitter. You will receive a Whimsy and Stars Studio DT badge for your blog. You will be part of a private Facebook group dedicated exclusively to our DT members and Guest Designers. This group page will give you access to images, blog schedules and events. Providing a constant flow of communication between our designers. This call is open worldwide. International applicants are welcome! What do you have to do to enter the DT Call? Send me an email with some information about you. 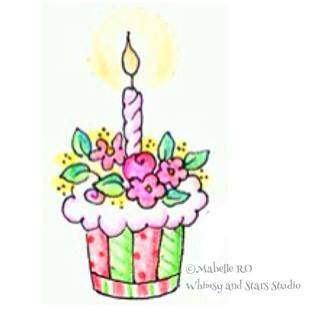 Please e-mail your application to: WhimsyAndStarsStudio@yahoo.com by Saturday, March 15th. Can't wait to start receiving all of your awesome submissions. Feel free to share the news and use the badge above to promote this DT Call with your designer friends. I look forward to your entries. Have a wonderful week! Wishing you and your family a blessed and wonderful Thanksgiving! on my Digi Stamps and the works of our Design Team. I just love to paint with my watercolors and doodle tiny cute children. But as a working mom (of two wonderful teens) I find it hard sometimes to find time during my day to work on my art. One of the things that really has helped me is to find little pockets of time in my day to make some quick sketches and capture some ideas in paper. 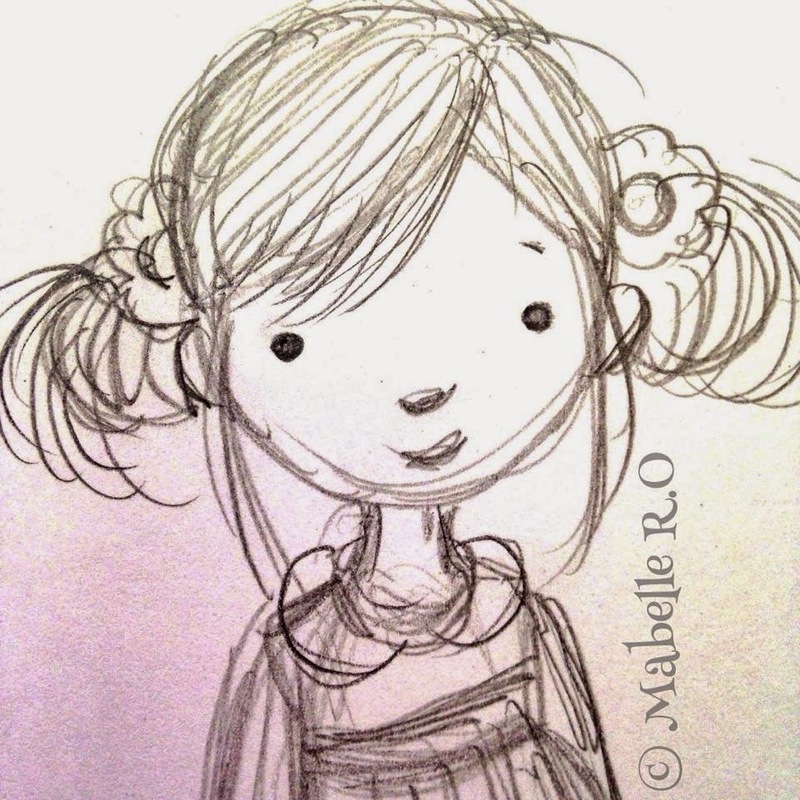 I often work on new concepts for new illustrations or stamp designs while I'm away from my studio. I have an "Art-on the Go" tote bag that I carry with me everywhere I go. Inside I keep all of my most used (and portable) art supplies. Sakura Koi Watercolor Field Box Set - 24 Color Palette + Waterbrush Pen. If you are like me, trying to carve some creative time in your already busy life, I encourage you to make yourself a little "on the go" kit. Having your creative supplies accesible anytime it does help to keep all those creative juices flowing! I wish you all a wonderful & artsy weekend! You can also enjoy this post at my NEW Stamp Blog! Welcome to The Craft's Meow July Blog Hop! are showcasing all of my clear stamp designs collection in this month's Blog Hop! I'm so excited! Thank you Lisa & TCM Design Team! 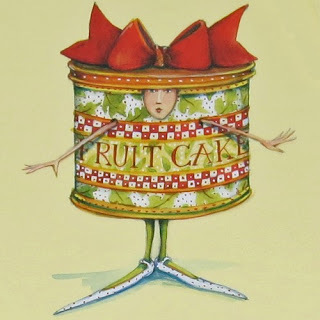 If you came from the talented Sharri Seffens's blog, WELCOME! and one of the stamps in the set "Sweet Taste of Summer"
Sometimes we are short of time when it comes to coloring, so by using a simple "color recipe" we have a handy and a quick tool to inspire us and get those creative juices going. The example above is one of those quick examples of applying color in a simple way and using basic shading. 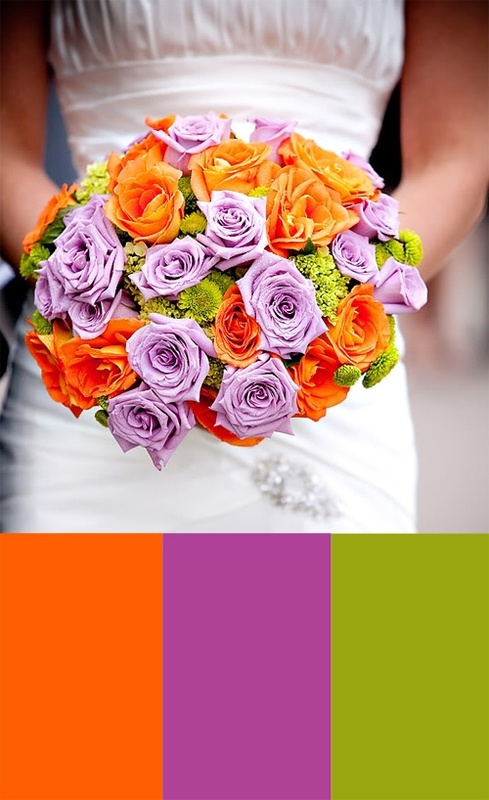 When looking for color palette inspiration I mostly use Pinterest and look for color combinations that catches my eye. The above photo was my starting point when selecting my Copic Markers. One lucky commenter will get a stamp set of their choice. The random winner will be chosen from the comments left on ALL BLOGS included in this Blog Hop, including the TCM store blog. I invite you to stop by each blog and leave your special comments, it means a lot to each designer. Deadline to be eligible for prize is 11:59 EST, Tuesday July 9th. Winner will be announced Wed, July 10th at The Craft's Meow store blog. 20 % Off Independence Weekend Sale! I wish you a wonderful & artsy week and thank you for celebrating with me! Need assistance following all of the 16 Blogs in the Hop? Wishing you and your family a wonderful Fourth of July! Today I was reading more about one of my great mentors...Grandma Moses (Anna Mary Robertson Moses (1860 –1961). She didn't began painting until she was 78 years old. When she was asked why, she said that she just never tried. 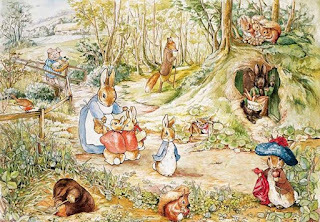 But whne she developed arthritis and couldn't work with her needlework anymore she began painting and age 78! And yet in only 4 years, her works were exhibited at the Metropolitan Museum. Even when she was 100 yrs. old she was still painting! 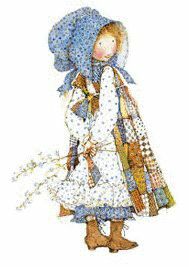 She is a renowned American folk artist. She is often cited as an example of an individual successfully beginning a career in the arts at an advanced age. I'm so inspired by her life, her art and her love to create art until the last days of her life. She touched the lves of some many people. Love her! Let me invite you to visit our BRAND NEW Stamping Blog! stamp design releases and events. 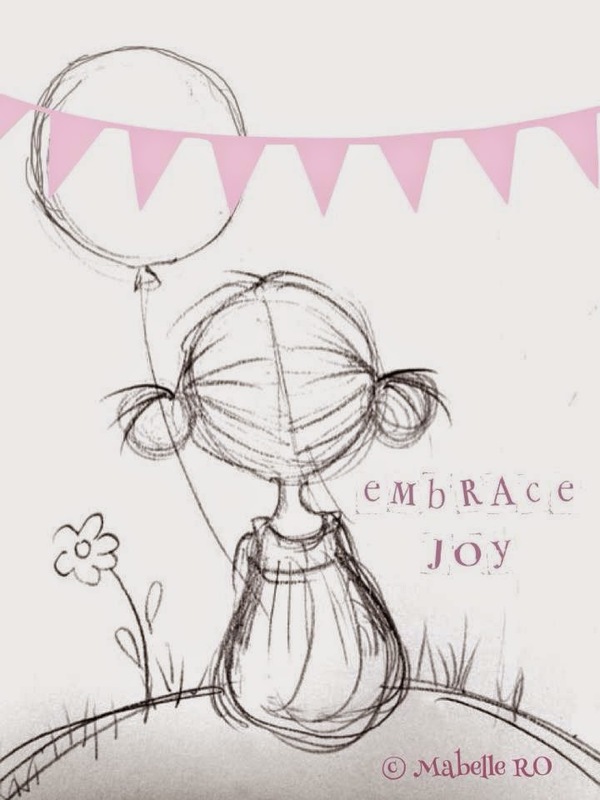 BIG BLOG REVEAL & FREEBIE DIGI STAMP Celebration!! So grateful for the work of all our past and present Design Team family of designers. Here is our June banner showcasing some of the past cards created by these talented designers for Whimsy and Stars Studio. Looking for some experienced and talented papercraft / cards designers to join our current fabulous Design Team for 2013 Summer Season. Able to commit to a 3-month term. Create 3 monthly projects or cards using the Whimsy and Stars Studio digi designs. Our DT is a flexible one, you can post your 3 monthly projects with flexibilty. You will receive the latest released digi designs from the Whimsy and Stars Studio store. You will also receive special sneak peeks at new digi releases before its announce to the public. Please e-mail your application to: WhimsyAndStarsStudio@yahoo.com by May 31, 2013. Remember, the deadline for submitting your email application/entries is May 31, 2013.
and for all of your wonderful comments. for all their beauitful card creations. Congratulations to our TWO random winners! of their choice from my Etsy store. NEW Digi Stamp Release, DT Blog Hop & DT Call! Welcome so great you stopped by! our NEW Digi Stamp Release, our DT Blog Hop and a NEW DT Call! I'm so happy to finally share it with you all! "Garden Joy" is available now at my Etsy store. I invite you to join our fabulous Design Team's Blog Hop!! Please visit each our Design Team blogs to get more information on these gorgeous cards and to leave your comment for a chance to win one cute digi from my store of your choice. You have until May 8th at 7pm EST to leave comments! Looking for some experienced and talented designers to join our current fabulous Design Team for 2013 Summer Season. Hello dear friends! I have missed you all! I have missed been online during these past couple of weeks. It's so good to be back from my little unplanned hiatus...I needed time to rest and to recharge. Time to unplug. During these past weeks I have been working on new art, new digi stamps and new products which I hope to have available soon! It has been a good thing to take some time away from the computer and go back to the basics. Mark your calendars: Sunday, May 5th is our digi stamp release and DT Blog Hop...plus a new Design Team call! What a wonderful Winter Design Team season! Filled with lots of inspiration, great techniques and gorgeous cards! Not only they created amazing cards and blog posts, they also hosted three awesome monthly blog hops. They totally rock! Thank you to my wonderful Design Team for another successful and inspiring season! A new Spring/Summer DT season is around the corner! Stay tuned everyone, I will keep you all posted of all the new digi stamp designs coming soon as well as special promotions and events! Have a fantastic week & happy coloring. The Craft's Meow's 2nd Birthday Celebration! Welcome to The Craft's Meow's 2nd Birthday Celebration! 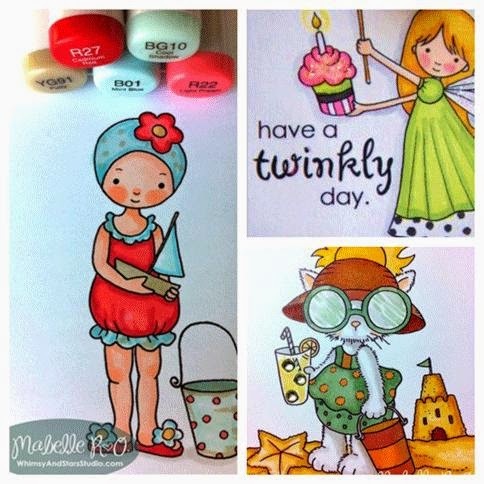 TCM is releasing today beautiful NEW stamp sets from Karen Baker and Nina B Designs, including my brand new clear stamp set called "Sweet Birthday!" which includes 20 separate stamps! transfer ink, which is why they stamp so well. To see the complete order of our hop, please visit The Craft's Meow's blog. There you will find detailed info on the prizes for this month's release and much more! Join the fun and be eligible to win all 4 new sets from TCM. To be eligible, visit & comment on each blog on the hop. You are not required to leave comments on each blog, but you will have a better chance to win because Lisa from TCM will randomly draw a name from one our blogs for a winner. The Craft's Meow Birthday is tomorrow! Tomorrow it's the Grand Day, Thursday. March 21st. Join me in celebrating The Craft's Meow Birthday #2. The Craft's Meow is hosting a fabulous Blog Hop with all kind of giveways and gorgeous DT card inspiration! They will be releasing beautiful NEW stamp sets from Karen Baker and Nina B Designs, including my brand new clear stamp set called "Sweet Birthday!" which includes 20 separate stamps! I can't wait to share it with you all. Thanks everyone for participating in our Blog Hop and for all of your wonderful comments! Thanks to our wonderful and talented Design Team for all their inspiring creations which bring my little designs to life! Congratulations to our two random winners this month! Each winner wins ONE Digi Stamp design of their choice. NEW Digi Stamp Release & DT Blog Hop Showcase! Welcome to our fabulous March Digi Stamp Release and Design Team Blog Hop! Easter time and Spring are just around the corner! Such a perfect season to create cute cards and to get in touch with those who we love. Beautiful time for reflection, joy and time of renewal. Here are my latest Digital Stamp release! They are now available at my Etsy Store along with lots of cutie Easter designs! Join our Spring celebration and Be inspired by the beautiful works of our Design Team! So many fabulous techniques and ideas!! For this Blog Hop I'm going to be selecting TWO random winners who each will win ONE Digi Stamp designs of their choice! Please visit each our Design Team blogs to get more information on these gorgeous cards and to leave your comment for a chance to win one cute digi from my store! Thank you so much for joining our Spring Celebration! Thanks everyone for participating in our Blog Hop and for all of your wonderful comments! Each winner wins ONE Digi Stamp design of their choice! DT Blog Hop & Digi Stamp Release! I'm going to be selecting TWO random winners who each will win ONE Digi Stamp designs of their choice! Hop along and leave a comment for each member of our Design Team. The hop will end on Friday, February 8th at 7:00 p.m. Eastern time. A special THANK YOU to our talented DT for creating such inspiring cards for us. And thank you to all our readers for joining us! There is something truly magical when you start doodling & sketching with watercolors...all of the sudden little cheery flowers start popping everywhere...and your paper is filled with Spring!